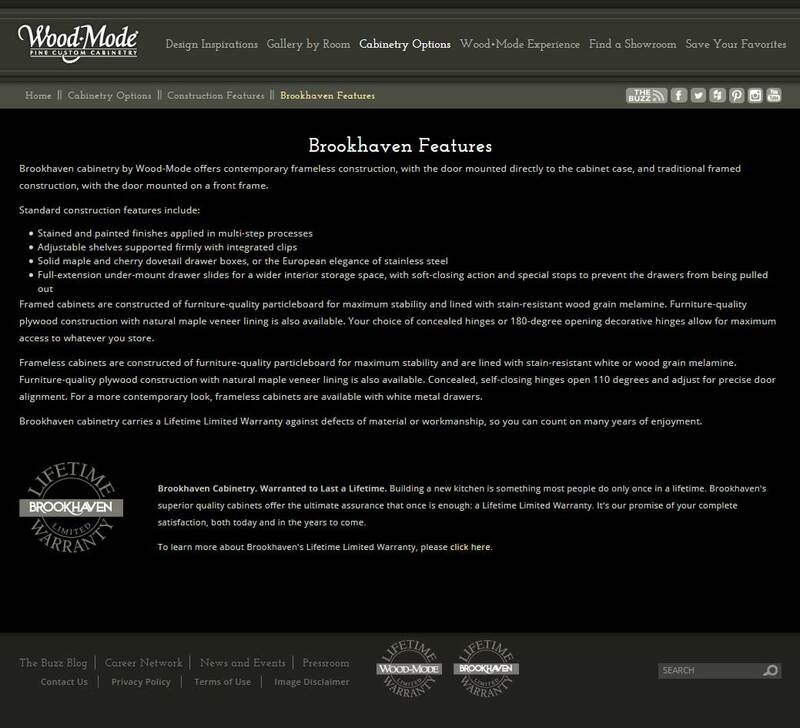 Brookhaven is owned by the Wood-Mode company of Pennsylvania (Wood-Mode, Inc.), with Wood-Mode having been founded over 60 years ago. 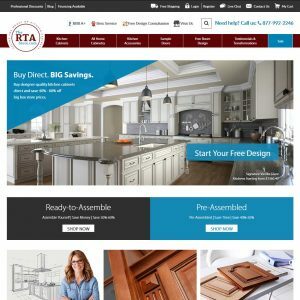 The company produces two full lines of customized cabinetry under the Wood-Mode and Brookhaven names, each with a multitude of storage options. Both feature solid wood doors and multi-step finishing processes, and both are available in traditional framed construction—where the door is mounted on a front frame—and contemporary frameless construction—where there is no face frame so the door is mounted on the cabinet case itself. 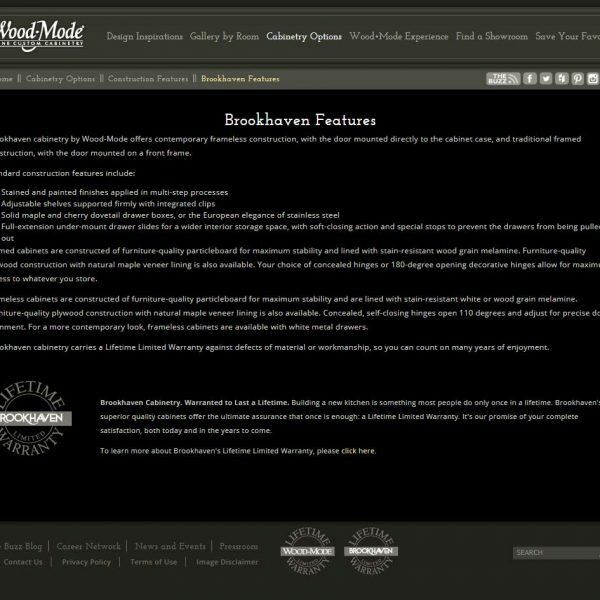 Brookhaven Cabinetry are a Wood-Mode brand and based out of Kreamer, Pennsylvania. 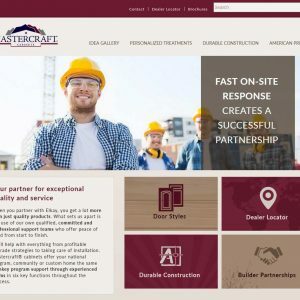 Their extensive selection of more than 85 standard wood finish colors, two standard finish sheen levels and 30 standard laminates satisfies a broad range of decorating tastes and lifestyles. I love my Brookhaven cabinets however the cabinet drawer that houses the garbage continually looses the paint on top! I have had to order and reorder a new one on 3 different occasions, otherwise it becomes an eyesore in my beautiful 7 year old kitchen! I can’t figure out why the company can’t solve this problem by putting a good finishing product over the top edge! I’ve been told that this happens frequently with Brookhaven! We are two adults who are extremely neat and take extra good care of our kitchen/home! The finish on my Brookhaven cabinets is impossible to clean, and I have tried everything. We also do not fry foods, so I am not dealing with a lot of grease or oil. I clean them frequently and spot clean them when a drip or spill occurs, but the finish is awful. It just stays on the finish faintly or leaves a rub or scratch mark or haze from the rubbing. I hate them now, and they are only 3 years old. I feel that I’ve wasted so much money! I would never buy them again. if you can afford the premium price I’d go with Brookhaven Cabinetry any day of the week. Practically full custom cabinets and they guys go overboard to make sure you’re 110% happy. I had no issues with delivery time and everything went super smooth. 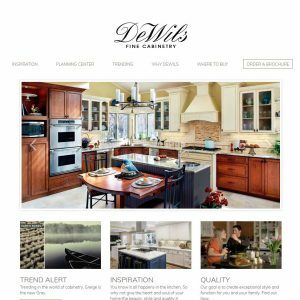 Important: all reviews for Brookhaven Cabinetry should comply with our review policies here.